The Beal Rookie Child's harness is a lightweight adjustable youth harness for use in climbing gyms or at crags. Ideal for when your kid has grown out of their Bambi full body harness wants to be just like you. When your kid has grown out of their Bambi full body harness and now wants to be just like you, the Beal Rookie Child's harness is ideal. 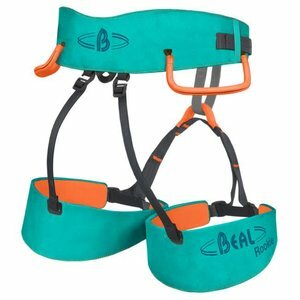 The Beal Rookie Child's harness is a lightweight adjustable youth harness for use in climbing gyms or at crags. Just one single size, with leg loop adjustments using the Dynamic-fit system (Black Diamond licence). 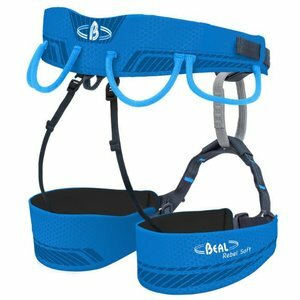 This harness, much like the adults range, benefits from Web-Core technology which provides exceptional levels of comfort thanks to optimal pressure distribution on hips and thighs. 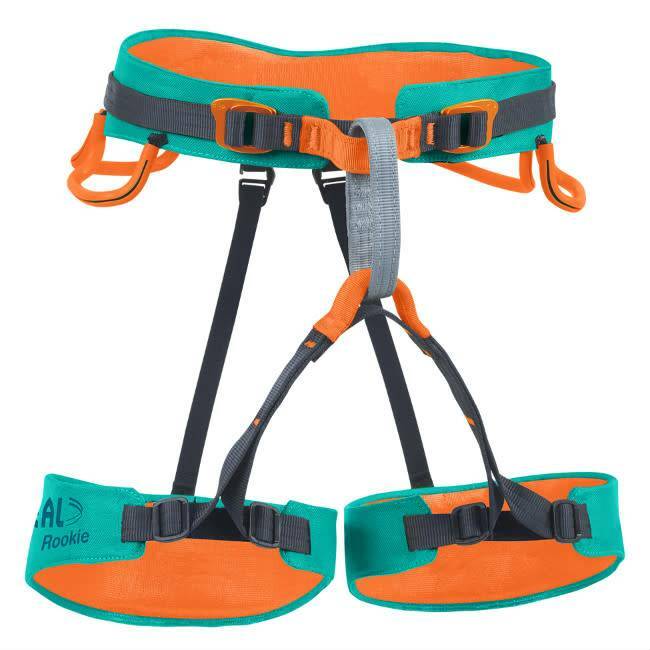 Smaller children should wear a full body harness when climbing. Comfortable thanks to the Web-Core concept. Two tie in points with central tie in loop. Optional body harness for additional security (for example on via ferratas). Childs harness (from 7/8 years old - 40 kg) for rock climbing, both in- and outdoors. 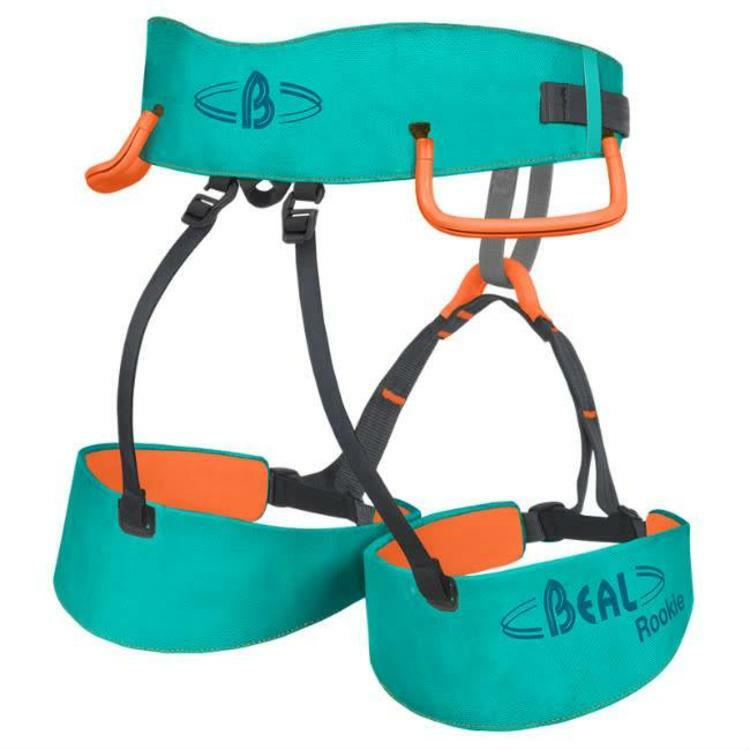 Beal Bambi Full Body Child's Harness is a simple and practical harness for younger climbers less than 40 kg. The higher tie in point will avoid the potential for inverting. 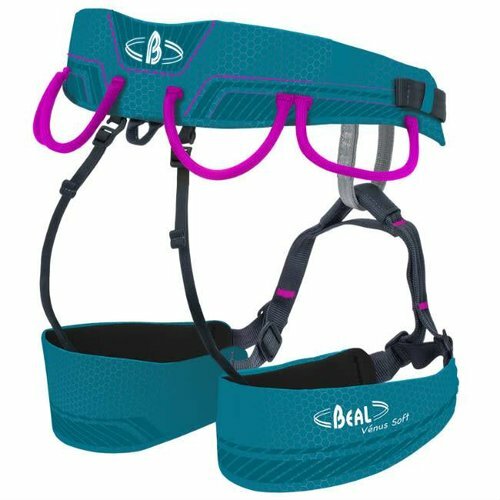 Lightweight, highly adjustable harness which can be adapted to suit all female shapes thanks to its two sizes and Dynamic-Fit leg loop adjustment system. Gear loops remain centred. Rear loop for chalk bag or rock shoes. 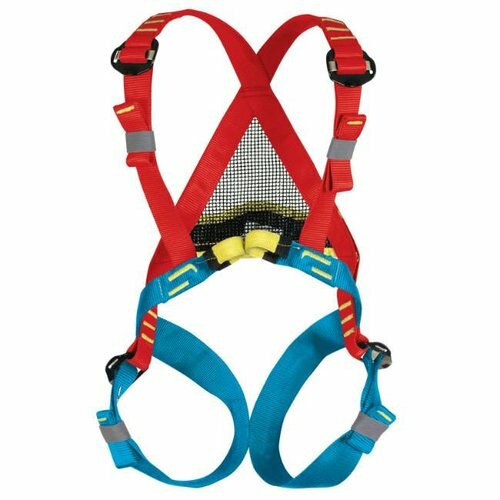 Lightweight, highly adjustable climbing harness for men, ensuring perfect fit and your 4 gear loops will remain centred. Rear loop for chalk bag or rock shoes. Comfortable and compact. Available in 2 sizes.